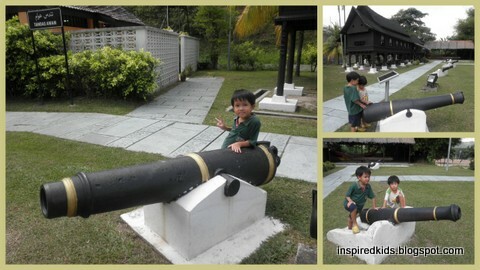 We went to the Seremban State Museum, which was situated in Jalan Labu in Seremban. 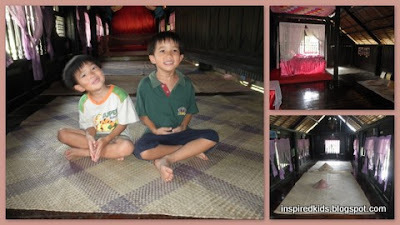 The museum is house in a building reflecting the Minangkabau architecture, with its unique shaped roofs. Admission is free. Inside the building, at the exhibition area on the ground floor, there is a 14th century human skeleton, displayed in a glass enclosure. We went outdoors first to see the wooden buildings in their grounds. There was a tall replica of megalithic stones outside. We found out that this was a former palace. 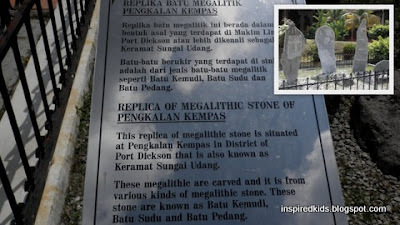 It was formerly the royal residence in Negeri Sembilan. The building is nearly 150 years old and was built in Kuala Pilah and later on taken down and reassembled here. It was built without any nails. It's remarkable how the wood can last so long. Welcome to my blog. I am a holistic therapist and mother to 2 active boys, S (5 years) and E (3 years) and have been blessed with the opportunity to work from home and be an integral part of their lives. 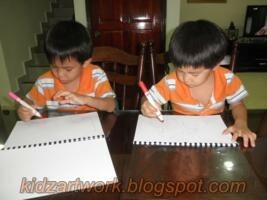 This blog is to record my children's early years, their activities and our journey together. We are having fun learning via homeschooling and unschooling. I also believe that children should learn through play and enjoy their childhood years. Thanks for visiting! Please do not copy my articles and photos and repost on other sites without my permission. You are welcome to use the ideas in this site for your site, but please insert a link back to my site. Thanks!